LEGO City Undercover! Graceful Explosion Machine! Yo-kai Watch 2! More! The Download Update is here for another week in Europe; the formal press release was slow to roll out (again), so we teamed up with the ever-generous Daan Koopman and NL user KJ85. There are some highly promising releases on the Switch, while the 3DS and Wii U aren't left behind either. On top of that there are a whole lot of Fire Emblem discounts for My Nintendo / Nintendo Account members. Let's get to it. Graceful Explosion Machine (Vertex Pop, €12.99 / £9.99) - A title unique to Switch so far, it offers brightly coloured, tightly controlled and compulsive shmup action. On the surface it's a simple shooter, yet its weapon types and focus on playing with 'style' add replayability and depth; we got drawn in by this one in our Graceful Explosion Machine review. Has-Been Heroes (Frozenbyte, €24.99 / £19.99) - A bit of a departure from the Trine days, this is a side-on roguelike strategy title with the premise that heroes past their prime have one final quest to fulfil. We thought this was a tad flawed in our Has-Been Heroes review. 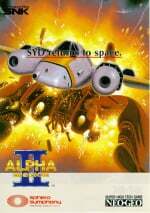 Alpha Mission II (HAMSTER, €6.99 / £6.29) - Known as ASO II: The Last Guardian in Japan, this 1991 vertically-scrolling shooter was one of the earliest titles for SNK's Neo Geo console, and served as a sequel to the 1985 arcade original. As this is an ACA release there'll be the usual customisation and online leaderboards included. LEGO City: Undercover (WB Games, €59.99 / £49.99) - Originally a Wii U exclusive, this quirky open-world title now arrives on Switch and other current-gen consoles. Essentially the same game, minus the second-screen GamePad features, we'll have a review with you soon. Out now in mainland EU, out on 7th April in the UK. Y.A.S.G (LSA Games, €1.99 / £1.79) - Considering its price point this arcade-style release in which you defend your home planet from asteroids and various foes may draw some looks. Visually it's rather modest, but as always with budget score-chasers the hope is for a simple gameplay hook that's well executed. 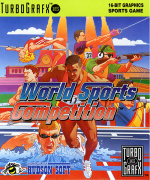 World Sports Competition (Konami, € 5.99 / £5.39) - Well, here's a thing, a TurboGrafx-16 release on the Wii U Virtual Console, in this case an athletics game with six categories of events. We thought it was pretty average in this decade-old review; time flies. 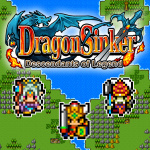 Dragon Sinker (KEMCO, €9.99 / £8.99) - This is a publisher that's brought a lot of RPGs to the 3DS eShop, with this one falling into the '8-bit' style. You search for legendary weapons, 'collect' jobs and try to "free the world from the rule of Wyrmvarg". Sounds like a good weekend's work. Yo-kai Watch 2: Bony Spirits & Fleshy Souls (Level-5, €39.99 / £34.99 for each version) - There's been a big push with merchandise and more to give this series a breakthrough in the West, and now the second entry in the series finally arrives in Europe. This one includes some time travelling and comes in two versions; we gave it a modest recommendation in our Yo-kai Watch 2 review. Available from 7th April. That's the line-up for this week's Nintendo Download Update in Europe. Let us know what you plan to download in the poll and comments below. Nothing for me this week. I really hope there's going to be a sudden burst of weekly content happening soon or this will end up feeling like almost nothing is coming to the system. There's also a Fire Emblem sale going on with discounts on the VC games, retail downloads and all the current DLC. Not sure I'll be picking anything up this week... again. @The__Goomba There's a Fire Emblem themed sale, as well as a few new MyNintendo discounts. I hope Yokai watch 2 does well even though all our eyes are on the Switch. I would be pretty pissed if they'd scrap the EU release of the 3rd game. Was looking a bit thin until I realised discounts had yet to be added. Will probably grab Alpha Mission II plus i hear there are Fire Emblem sales so may grab some of the DLC, even though yet to play through either of the 3DS titles and I think I have all VC releases. Just got graceful splody machine and its really nice, might just take my mind off not having issac. This is kind of quick for their Press Release. Well certainly quicker than they've been for the past month. After looking at that short list I can see why. 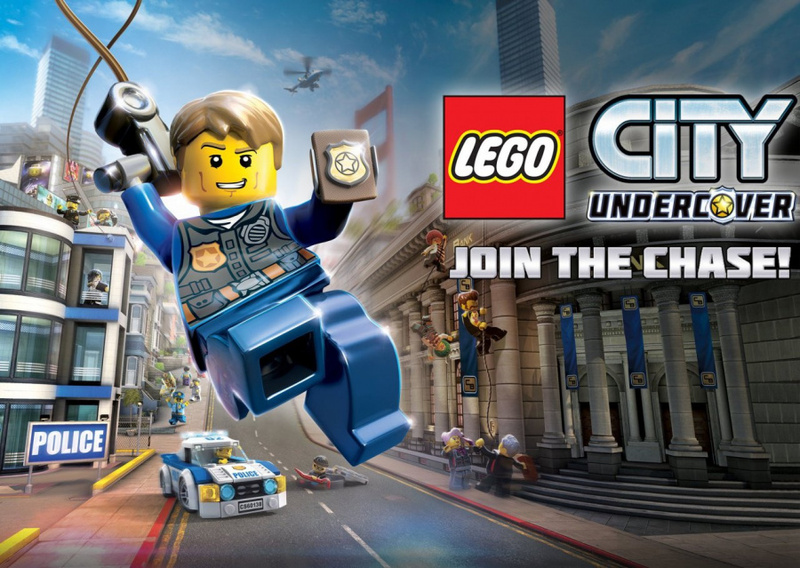 Warner Bros. and TT Games have some nerve asking for €60 for the port of Lego City Undercover. Overwhelming Switch choices..guess I'll go with nothing for me this week. 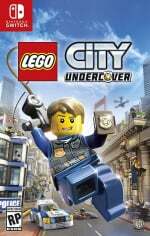 So, Lego City Undercover USA version will be 7 April 2017 ? Just asking, do Switch demos have the same "[x] uses left" crap as usual? @Marios-love-child Yeah, it never pays to get new retail games as downloads because you can always find a better deal than the RRP online for a physical version (£46 for Zelda rather than £60 being a good example). @Angelic_Lapras_King Ah ok thanks, seeing as I own every FE game it won't be much good for me. People complaining about the LCU price must have bought ported games to their PS4 or X1 from PC or from previous gen yet they didn't blink an eye paying full price. Ported games are for the new gamers or gamers who haven't played it from their other/previous consoles. As for me, I'll buy LCU for my Switch when it goes on sale as I already have this on my Wii U. For those who haven't played it yet and is very interested in a GTAesque Lego game, it's worth the asking price. @AlexSora89 : So far, no. The Puyo Puyo Tetris and Dragon Quest Heroes I+II demos from the Japanese eShop are unlimited use (the Puyo Puyo Tetris demo also supports local multiplayer, so the more frugal players out there might just want to settle for the demo and save themselves the cash!). The Just Dance demos on Wii U are also unlimited use if memory serves, and I would expect it to be the same with the Switch demo. There are no other Switch demos that I am aware of. Just Dance 2017 is buried away in the Switch eShop, so you'll have to manually search for it in order to download it and/or the demo. Those unaware of its existence will never find it otherwise. So I'm thinking about picking something up. Maybe GEM as it's being highly praised just about everywhere I go. But that's out of having so few options, not because I particularly want it. Deep down I know I should hold off for now, and maybe just download that new Minna de Waiwai demo from the JP eShop. Loving the release schedule at the moment. Steady feed of quality indies leading up to MK. @Moon : Thanks for bringing that to my attention. I wasn't aware of the Minna de Waiwai demo. I was considering importing the cartridge for some local multiplayer fun but it's nice to know that I can try it before taking the plunge. I have my doubts that it will ever leave Japan, and if it does, it will probably be an overpriced eShop exclusive. Funny that I would prefer a physical version in Japanese over a digital-only English-language localisation. @sillygostly No problem. I hear the demo has local play too, which is nice. Have fun. @The__Goomba lol so true. I got mine for 18 pounds. 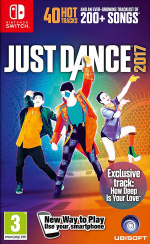 The Just Dance 2017 demo is 901MB in size, and it only lets you dance to "Watch Me (Whip/Nae Nae)". Just something to bear in mind for those who may wish to conserve data and/or internet usage (or avoid a terrible song =P). I wish they would give more discounts to old Wii U and 3DS games. All updated now with discounts, Fire Emblem stuff etc, plus a fresh poll. A timed exclusive that's reviewing well and two other games (1 port) day and date with the other formats. Pretty good week. @SLIGEACH_EIRE No nerves at all. The price is justified by the gameplay it offers. Period. Would've bought one of the two Yokai Watch 2 versions but I am way too busy with other games atm. Yokai Watch 2 used to be on my list as one of my most anticipated titles. But now that I have Switch I'm focusing my attention on that. I'll also say that making me wait this long for the second iteration of Yokai watch was its own undoing - my hype levels fully depleted many months ago. Should have released it around the same time as America got it! I love you Level 5 but you dun goofed this time!!! EDIT: Getting Graceful Explosion Machine because I literally don't have anything to play on my Switch and Shovel Knight & Voez just don't do it anymore. Looking at the discounts, that's a lot of Fire Emblem DLC maps; though so they actually add anything extra story wise or character development? Also, wish the themes had more than a 50p saving. BTW, anyone know if the previous week's sales are still around? Forgot to buy Axiom Verge though usually they carry over till midnight of the update day. @ThomasBW84 Thank you, for posting all of that Fire Emblem information. It seemed like it would never end. I just wanted to let you know we appreciate it. Is LCU any good? I've never played it. Yokai Watch is tempting, but I'll give it a miss for now since there's too many other games that I want to play. Still no Samurai Shodown IV, huh? I am definitely more interested in has been heros than GEM, especially since most of the reviews negatives are positives to me. The artstyle in GEM is really not my style. Can anyone help me? I've bought map pack 1 & 2 for fire emblem does that mean I have it all? Am I missing anything? 43p for BLOK DROP U isn't even a bargain. @Cosats I hope you give them €60 so. FE dlc....if I was a PAL user. Remember the 3DS? Yeah, me neither. It's always nice to see Nintendo realising that "wow, that was stupid, let's never do that again".